In the US, automotive television has been severely lacking for some time. Motorweek will always have its place in every enthusiast’s heart, and John Davis is indeed an automotive icon, but how many more segments on natural gas powered garbage trucks and electric parking enforcement buggies do we need? We won’t pick on the other US TV shows, because frankly they are so weak we don’t want to risk hurting their chances of staying around and getting better. Thankfully, the British are invading our TV’s, mainly on to the Velocity Channel, and for a couple of hours per week we enthusiasts have some couch potato nirvana. This story is part one of two reviews of the two best shows on TV for car nuts. Fifth Gear is what Top gear would be if Top Gear was for car nuts. The two are not really distinct entities. The relationship is very incestuous. For example, Fifth Gear hostess, Nicki Butler-Henderson is married to the former producer of Fifth Gear, who is currently the series director at Top Gear. 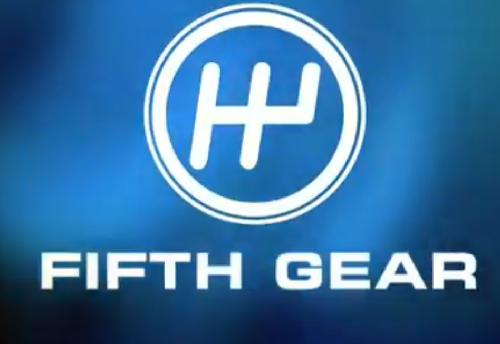 The name Fifth Gear is a play on the UK television station it runs on, Five. The major difference to this author between the two shows is that the filler segments on Fifth Gear work for car nuts, and the ones on Top Gear don’t. Also, the four person presenting team seems to be a team of four on Fifth Gear, rather than one guy and three other people on Top Gear. The second biggest difference is that instead of having an anonymous pro test driver (who has also appeared in cameos on Fifth) like Top does, Fifth has the hosts drive the cars – and they drive very-very well. Here is a quick rundown of the four presenters and what makes them special and worth watching. Tiff Needell is a lifelong racing driver who has driven successfully in touring cars and in open wheel racers including Formula 1. His character (himself) on the show is an aging racer who always appears to be half in the wrapper. We say "appears" with emphasis. He has that lovable English class that is spiced by the whiff of gin and a winning smile. To say that Tiff can handle a car is a very big understatement. He can execute a Scandanavian flick and drift supercars like making a cup of tea, and whenever there is a contest, say jumping a VW bug, or handbrake parking a compact, he is generally the winner – by a longshot. When he tests the cars his commentary is spot-on, truthful to a fault, and always upbeat. He finds the joy in a Ferrari Enzo, but just as easily in a Ford Focus. Nicki Butler-Henderson is a warmly attractive women in that “Yeah, she’s approachable” sort of way. What makes her special is her big, beatiful grin, and her insight into all things auto. Although she is also a racer, she lets Tiff and Jason Plato do the stunt driving. Nicki does not mince words and one of the most endearing things about Vicki, and the show for that matter, is that it is PG-13, nearing R. For decades the US has allowed things to be done and said on British TV shows that the US shows are NOT allowed to do (Monty Python – need I say more?). For example, Vicki is fond of calling a person a “wussy” if they show any lack of intestinal fortitude. For those not from Medfid Mass., a Wussy is a “Wickid …..” Only Vivki can get away with that. Jason Plato is also a life-long race driver and his particular focus was on touring cars. These are V8 monster cars -think BMW M3, but race prepped. What better type of racing to translate to passenger car testing? Jason is a bit cheeky. He always seems to be including you in on the inside joke with a wink and a nod. That he occasionally bests Tiff in the competitions they hold is a testament to his driving. That he does it with class, respect, and a bit of needling that comes across well is a testament to his character. Johnny Smith is the young guy. Although he was born before the internet, and is actually older than his looks and habits, he carries the torch for the cool, hip, tech savvy viewers and does it superbly. His segments are characterized by deadpan dry humor and often a bit of awe. Like Vicki, he likes to use politically incorrect terms such as “mental.” It works. If you haven’t yet set your DVR, Fifth Gear is on Velocity Channel Wednesday nights right after Wheeler Dealers, which is the subject of our next story and the only show on the air that is more entertaining than Fifth Gear. I LOVE FIFTH GEAR! This is what the original Top Gear was more like. Fifth Gear Wheeler Dealer all the way!